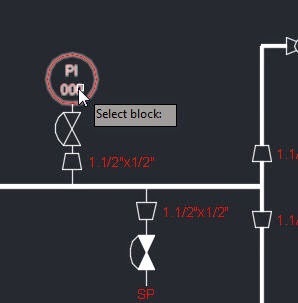 Another post on incrementing tags for valves, equipment and instrumentation on P&I D done with AutoCAD. I hate repetitive boring jobs so I much rather spend a couple of hours researching for a quicker, faster solution before doing the mundane. 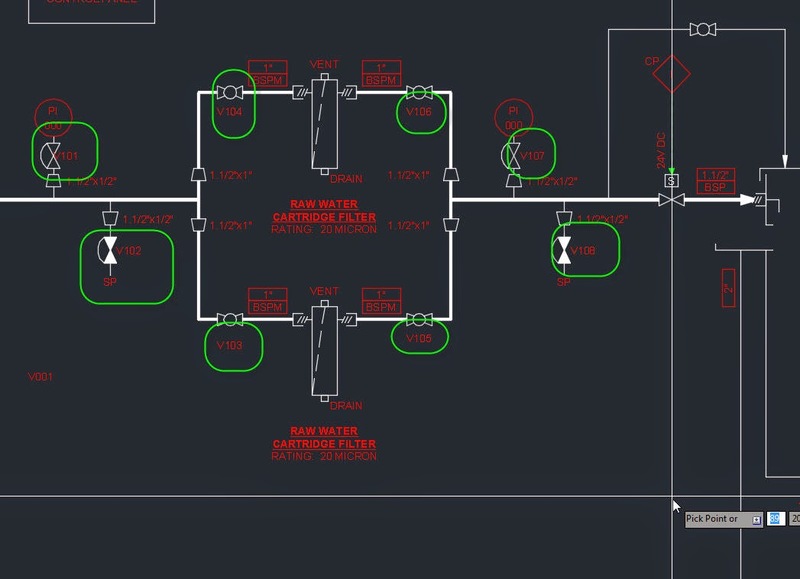 In this case I wanted to automate the assignment and incrementing of tags numbers for valves, instrumentation and general texts in electric schematics. So after a bit of research I came across Lee-Mac's website. This site is full of goodies and for my problem I stopped at "Incremental Numbering Suite". You really need to open the webpage to see the full capabilities of this routine but here’s how I've used it. Fits, I've selected all my instrumentation and added “000” to the tag number so that the function can pick it up as a number that needs changing (incrementing). 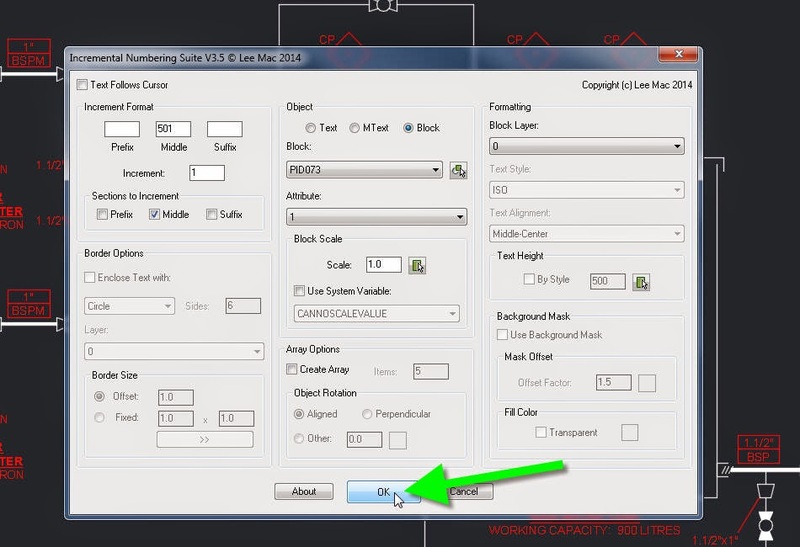 Type numinc to get the options window. We start all instrumentation at 500 so I have 501 for my fist number with 1 as increment. You can type it anywhere in the prefix, middle or suffix as long as you tick the correct section to increment bellow. 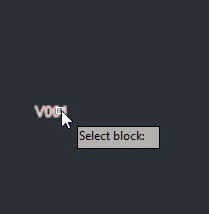 I have then clicked the “pick on screen” to select the block type that needs changing, selected my block and clicked OK.
At the command prompt type “R” in order to replace an existing value, in my case “000”. 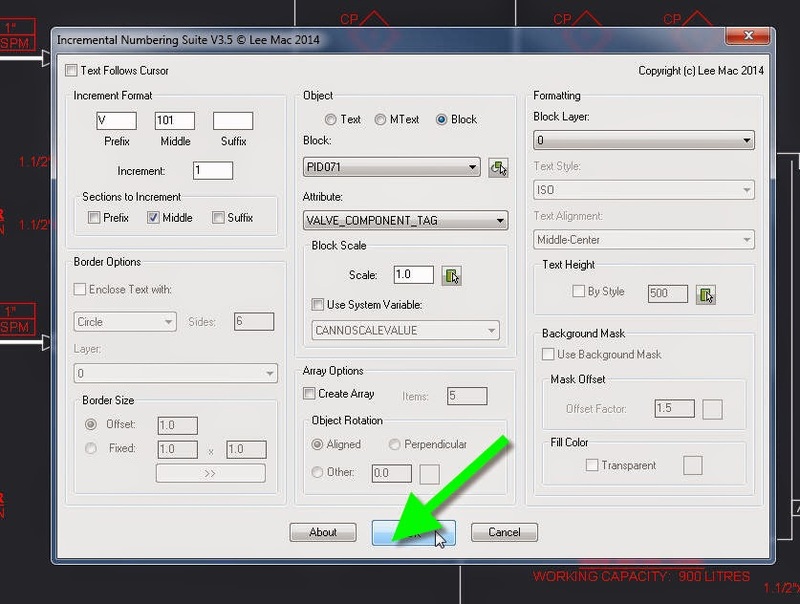 Click on each object that you want modified in the exact order you want it incremented. I have placed a temporary valve tagging block and started the numinc again. I have used “V” as prefix and 101 (we start all valve tags at 100) as middle incrementing middle by 1 each time. 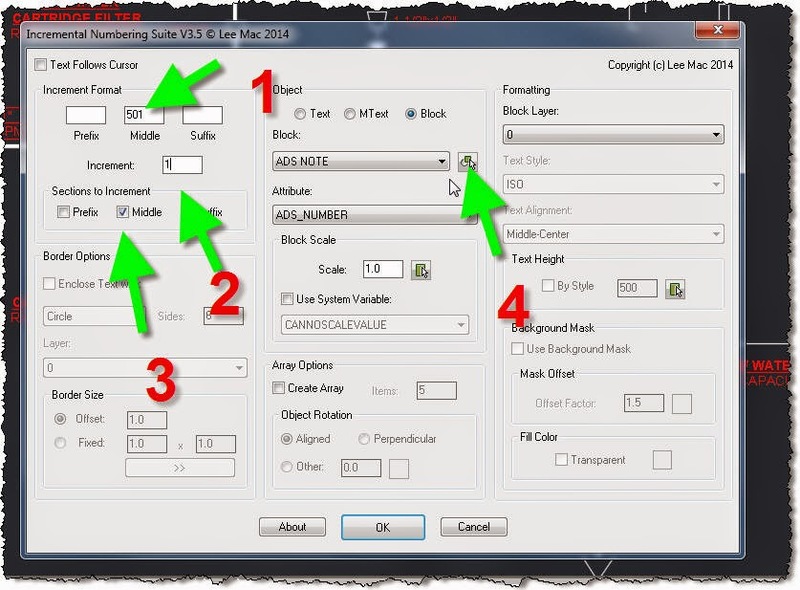 Select the temporary valve block with “pick on screen” for objects to modify and click “OK”. 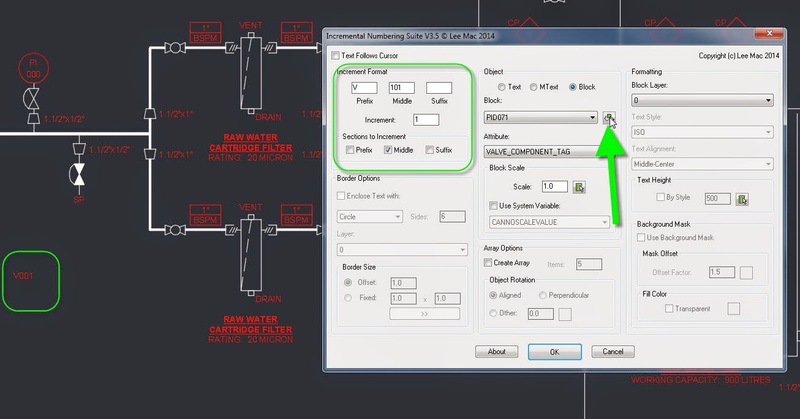 I haven’t used “R” because I need the program to place new blocks on the fly just like in the image bellow. Totally love Lee Mac’s website and if you find it useful, it won’t hurt to donate especially since he keeps his source code free. It's nice to see the code that does all this magic.